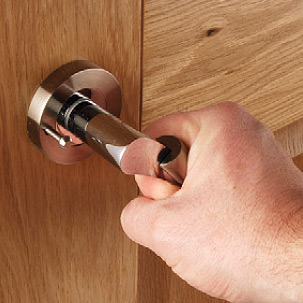 The Banham M2002 Cylinder Mortice Deadlock Polished Chrome is possibly one of the most secure locks available on the market today and statistics prove that by taking quite simple, relatively inexpensive precautions you can deter the would-be opportunist intruder, however it is necessary to take extra precautions to keep out the professional burglar. Remember that security buys you time, something the intruder does not have. It is made from cast alloy & steel and has a polished chrome finish.